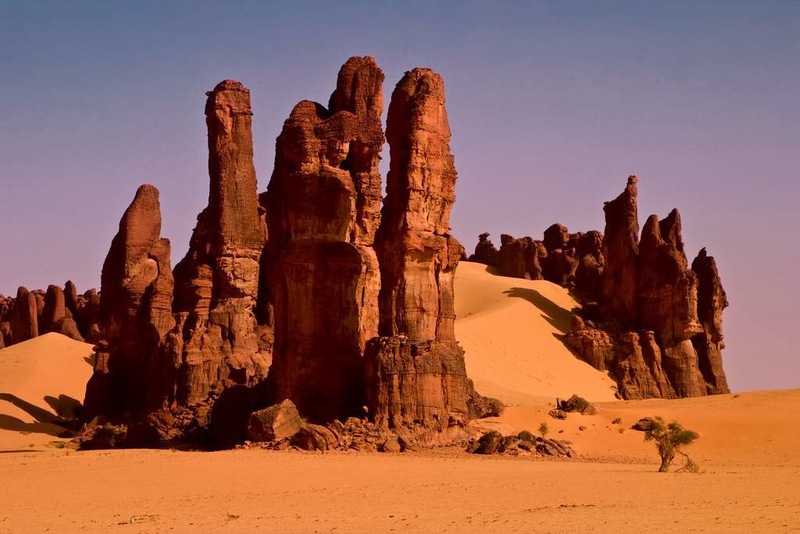 Rising from the sands of the great Sahara Desert, the Ennedi Plateau is a revelation. 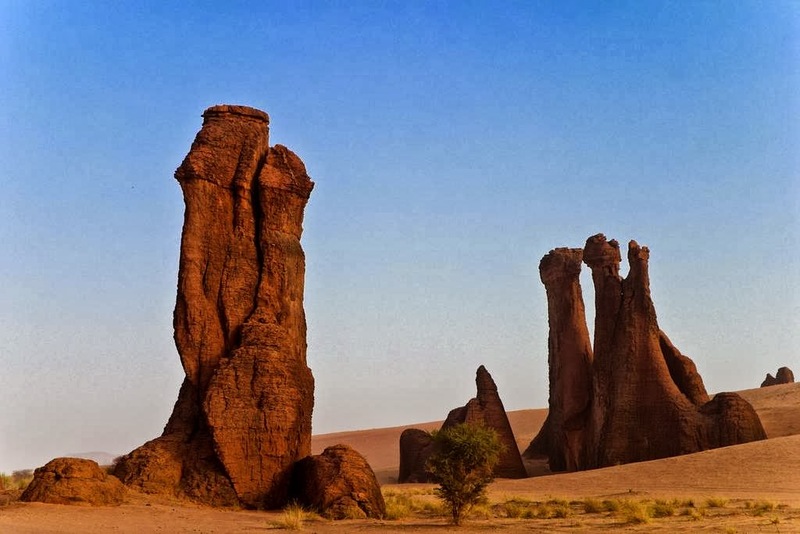 Situated in the north east of Chad and surrounded by sand on all sides, this extraordinary, other-worldly place presents vista after vista of stunning rock formations. 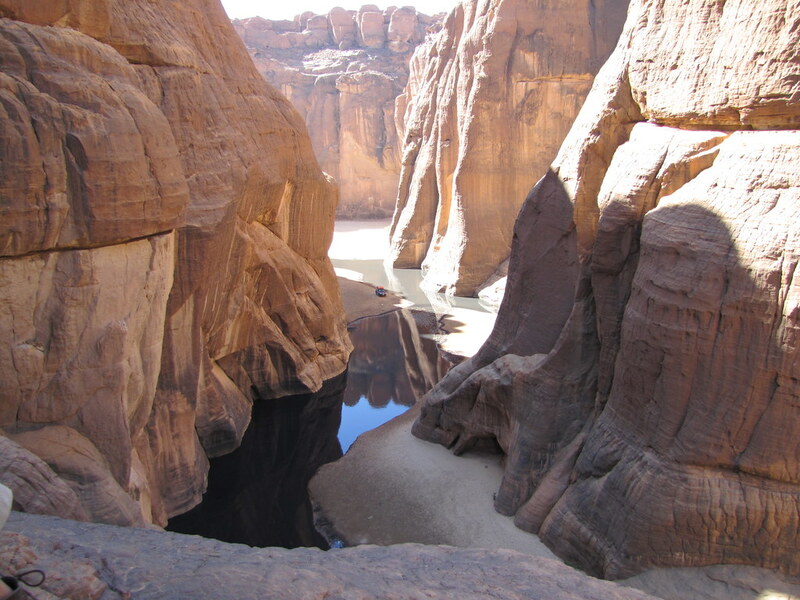 Ennedi is little visited – there is nothing you could realistically call a road for many miles. The plateau is frequented only by local nomads and a handful of foreign visitors in their 4x4s. Yet even though the landscape resembles somewhere the crew of the Enterprise might find themselves on an away mission, these rocks – as you will see - hide something perhaps even more astonishing. 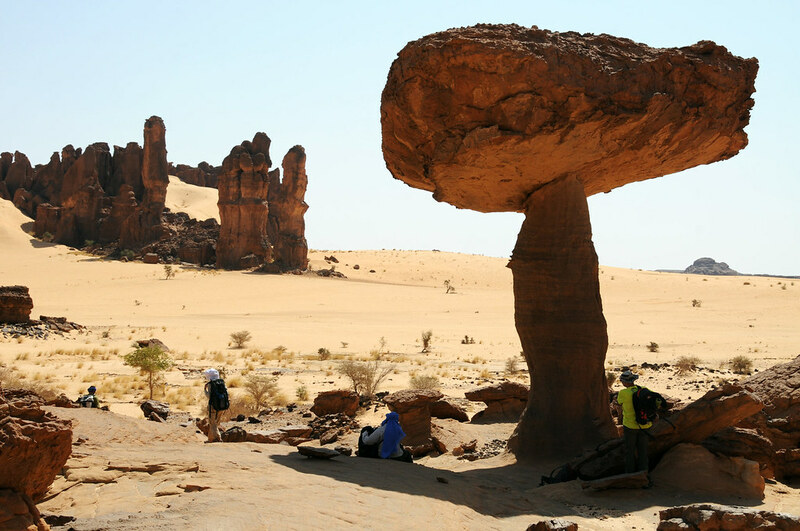 A journey to the Ennedi Plateau is not for the casual traveler or the faint-hearted. It is a four day drive from the capital city of this landlocked country, N'Djamena. 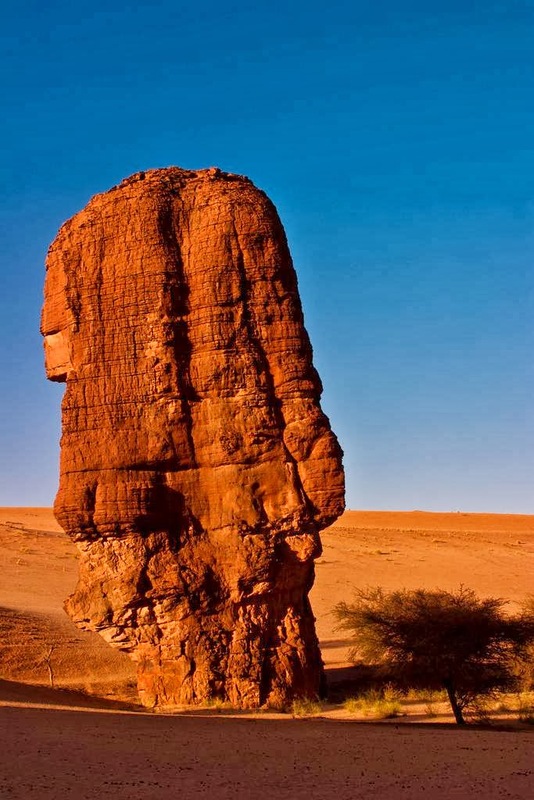 The name of the capital translates from the Arabic as place of rest but that is probably the last thing a visitor gets on the 100 hour journey to Ennedi along dusty and pot-holed roads. However, the country is truly a crossroads of civilizations with over 200 linguistic and ethnic groups. 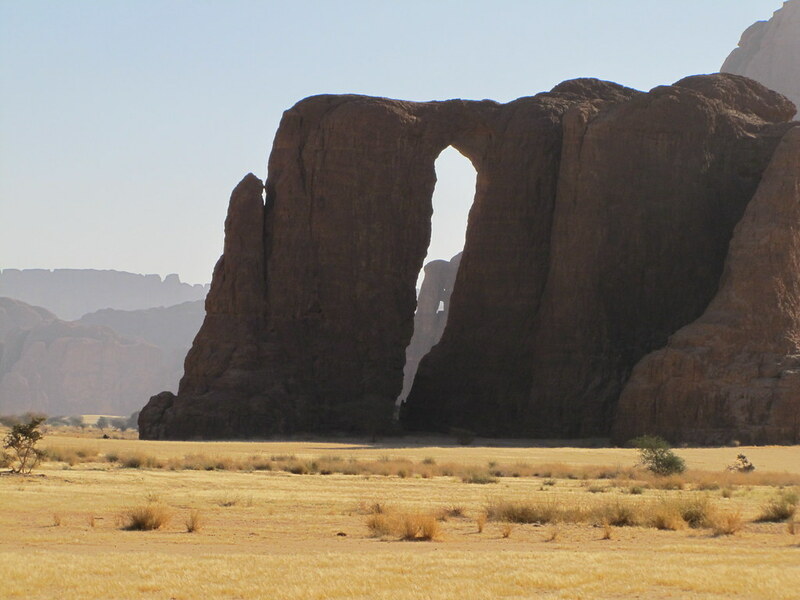 On arrival at the Ennedi Plateau you may on occasion cross paths with nomadic camel herders. Unsurprisingly, the place is a magnet for the hardiest of the world’s rock-climbers who come here to ascend the sandstone rocks, many of which are over a hundred meters in height. One can only imagine the bemusement of the locals. However, even 4x4s cannot manage a lot of the terrain that you see in these pictures. Often, vehicles must be left behind. Yet after trekking for several hours the rewards are manifold. 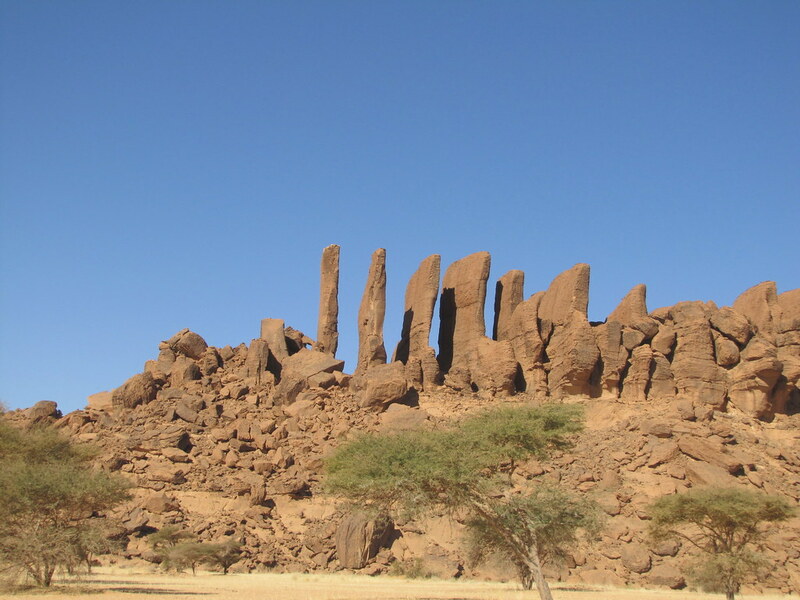 The rock formations sweep towards the sky in a multitude of incredible shapes and sizes. It looks barren and devoid of life but nature always seems to find a way. It is easy to forget that the plateau is surrounded by sand - until you see the Sahara. You might think the occasional tree could just about flourish here. Even in the middle of the harsh, dry desert lush gueltas can be found. These are areas of wetland where subterranean water spills gloriously to the surface. Here you might catch a glimpse of the elusive and extremely rare dwarf Nile Crocodile. 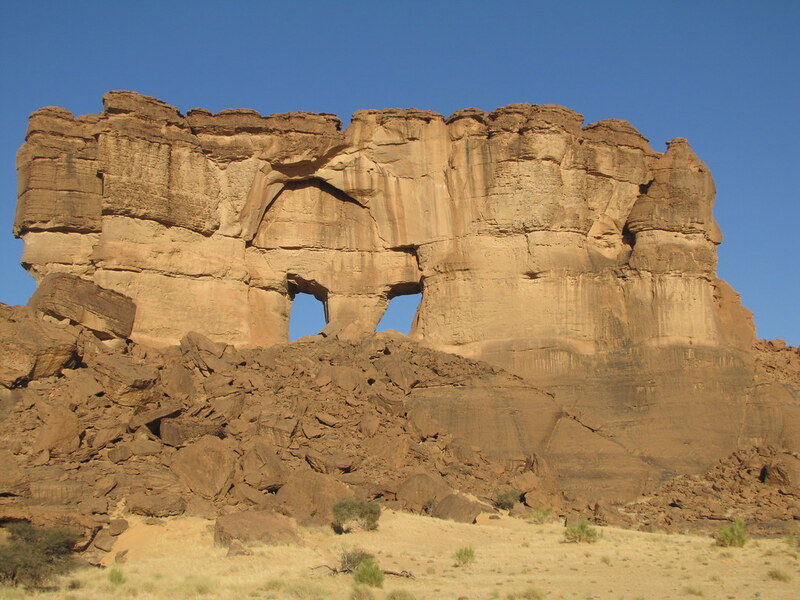 The Ennedi tiger and Saharan lion are, unfortunately, both believed now to be extinct. 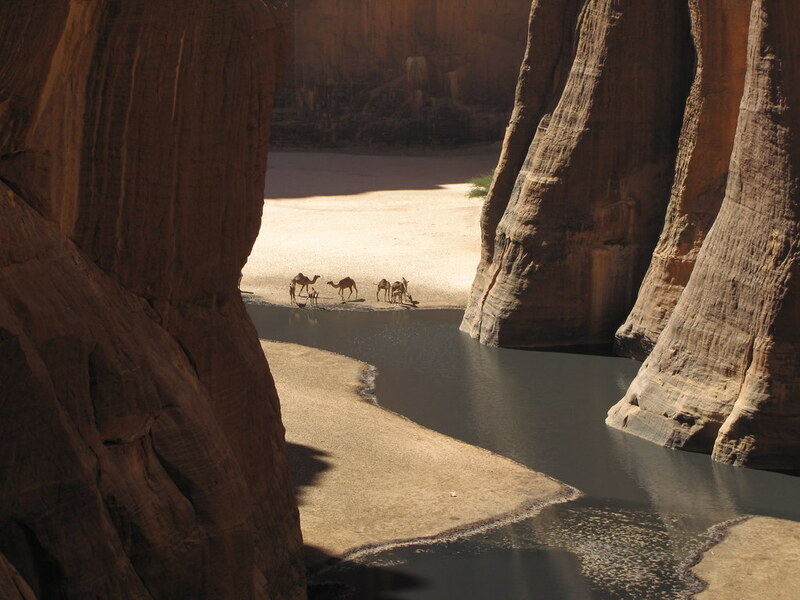 Perhaps good news for the camels, however, who flock to these river canyons to fill up their tanks before journeying back in to the desert. 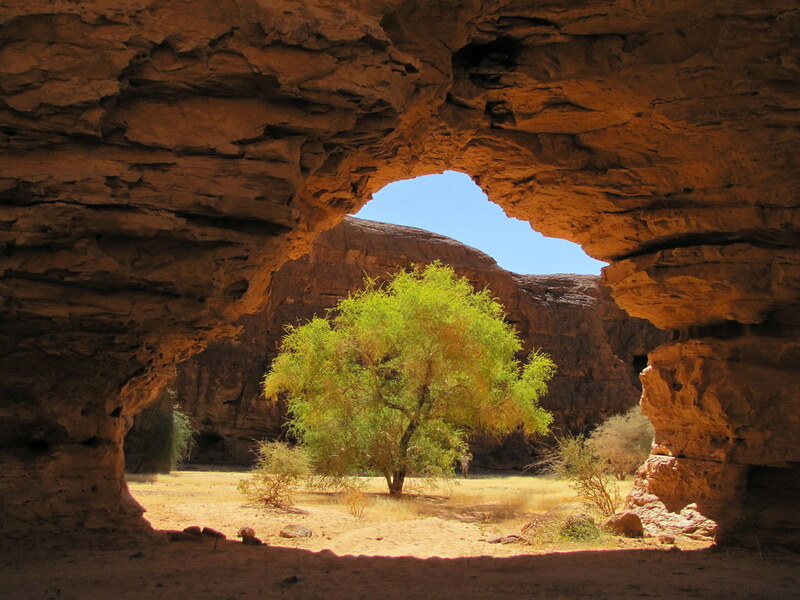 Here is Ennedi’s final surprise. 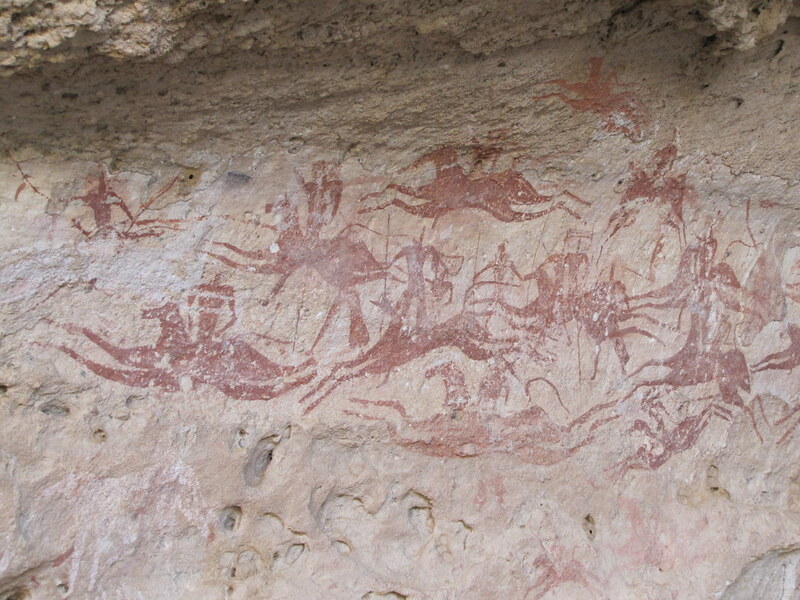 Neolithic paintings adorn many of the rocks, their shape and color preserved by the dry desert atmosphere. 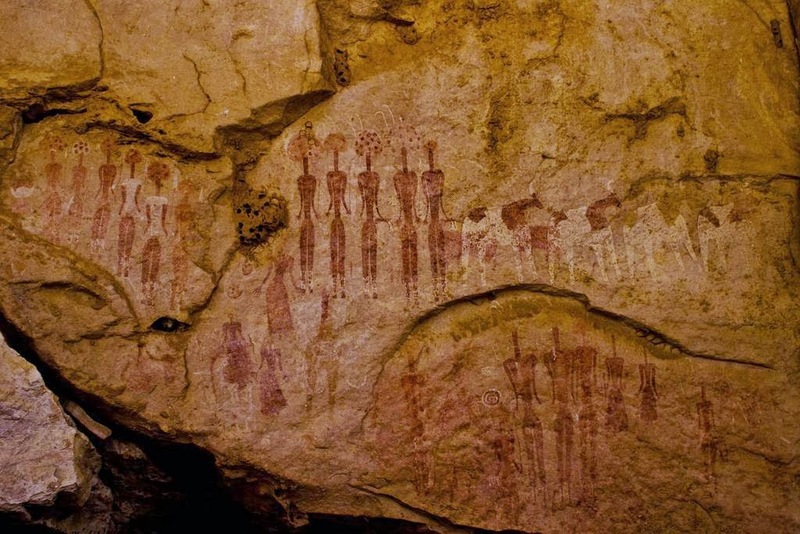 How many thousands of years ago did a culture flourish here, populated by enough people to develop leisure time in which to express themselves through art? We may never know who these people were but their voices travel down through the millennia thanks to their priceless but little seen legacy to the world. Yet its remote location is not the only thing which deters visitors. 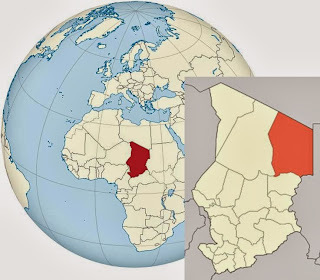 Chad is considered a failed state, an unfortunate place benighted by political corruption and poverty with the greater part of its 10 million population scraping a subsistence living from the land. Tourists are at some risk of robbery and violence if they choose to travel alone and unprotected through this remarkable, beautiful but potentially perilous country. 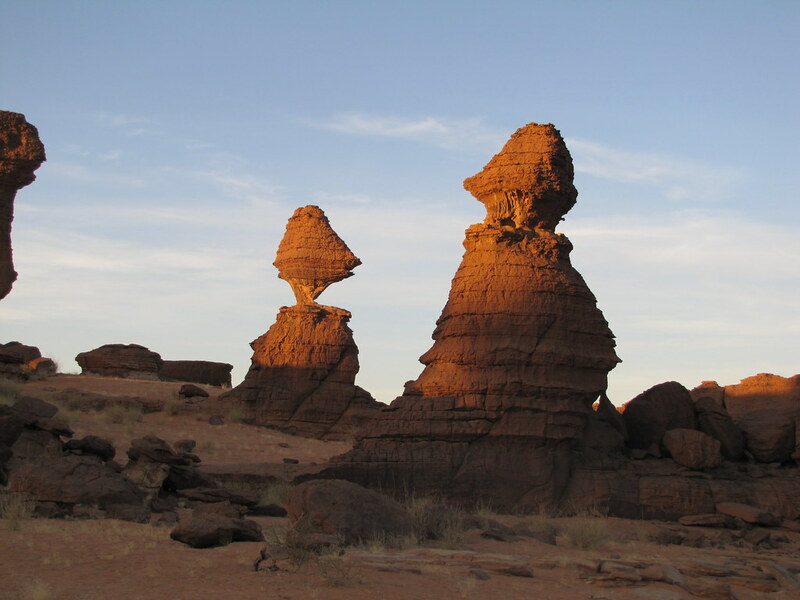 Yet for all its hazards, the Ennedi Plateau is truly a place of wonder. Kuriositas would like to thank Flickr users Ursulazrich, escandio and Fouderg for their kind permission, allowing us to embed their marvelous photographs in to this feature. Please respect their copyrights and visit their amazing Flickr photostreams.